Two days after Agent Liam has dealt with invisible Dragons, the team begin to act very strangely. 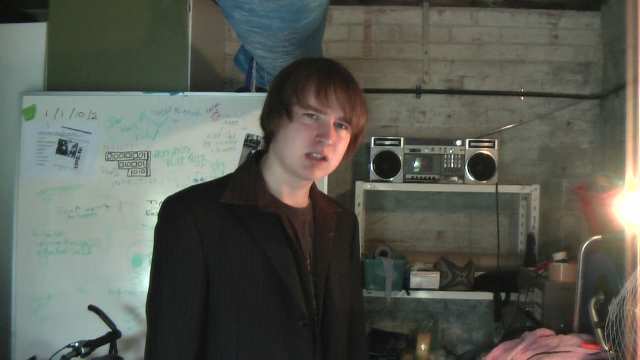 Whilst Dan and Mortis become best friends, Liam confronts an alien through rapping. Everyone's agreed on one thing: they are happy. But is this new false happiness a gift or a curse? And where is it coming from? Agent Liam finds himself making one of his hardest decisions yet, as humanity gets the closest it ever has to world peace. "We are the Time Agency. There ain't no any better, in better way, righting wrongs. We are the Time Agency. There ain't no any faster, nor any stronger, we bounce back!" Billy Treacy developed this concept the Christopher Thomson (who had confessed himself as a "Mamma Mia!" fan) in mind, also drawing inspiration from the musical episode in "Buffy".